Middle School Fun Run – Friday, 14 December 13.30. Starting on the sports fields. After lunch on Friday, 14 December, Middle School students and staff will be charging 5km around Ciputra in the annual MS Fun Run. We are also inviting parents who would like to participate or cheer on the runners. This year, we are calling for runners to run in their most awesome costume. Prizes will be awarded for the most creative and entertaining costumes.Just remember that costumes should be appropriate to the school dress code. 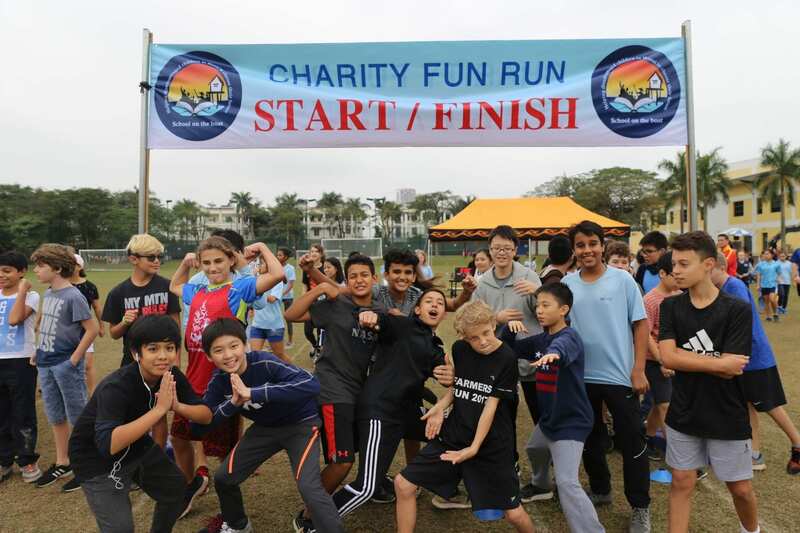 All runners will also be issued with a sponsorship form to fundraise for School on the Boat – an organization that helps disadvantaged children living along the Red River near the Long Bien bridge. UNIS has an ongoing relationship with School on the Boat, and this year a Grade 8 Service Learning Group are partnering with the NGO throughout the year. So please get behind our Middle School kids to recognise their efforts and support a great cause. Food and drinks will be on sale after the race, with proceeds also going to School on the Boat. Please bring cash to purchase post-race snacks.